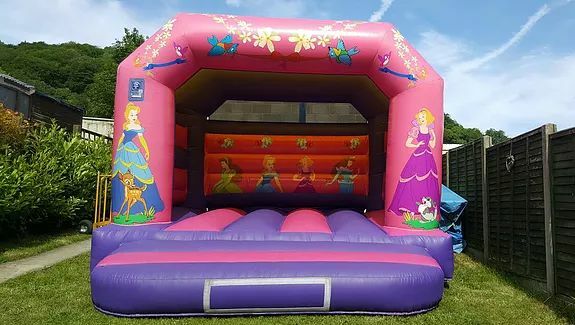 This princess themed castle is able to fit in most halls and gardens Suitable for princesses up to 1.5m tall. Pretty purples and pinks for a truly magical princess party! Allows your little princess and her friends to party in style with their tiaras and gowns.